A number of people have recently contacted me complaining about the lack of facilities for motor homes in North Down. The people, from Downpatrick and Millisle, have informed me that One Night Stand facilities are available in many towns across Northern Ireland. The One Night Stand facilities, also known as Overnight Stopover Points, provide Motor Home users the opportunity to park their van overnight and obtain water, electric and sewage facilities. Carrickfergus Borough Council were the first Local Authority to provide One Night Stands in Carrickfergus and Whitehead after lobbying by Local members of the Motor Caravanners Club. 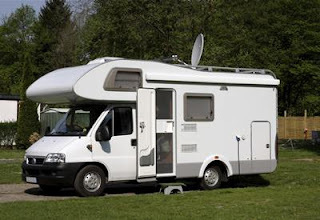 Carrick Council’s facilities are known as Motor Home Services Units and require users to obtain tokens which then entitle them to use of the various facilities and the right to stay overnight. Tough economic times combined with the problem of volcanic ash has led to a rise in what is known as "glamping" with people embarking on "staycations” by holidaying in motor homes, including, most notably, David and Victoria Beckham. When people are touring Northern Ireland in their motor home I want to ensure we have the necessary facilities in North Down so that they can easily visit Bangor, Holywood and other areas, stay overnight and spend their cash in local shops and restaurants etc. I therefore intend to investigate whether Motor Home Services Units can be set-up in North Down similar to those provided by Carrickfergus Borough Council. The units don’t necessarily have to be delivered by a statutory body such as North Down Borough Council and could, perhaps, be established by a private operator or a local community organisation. Until North Down has sufficient One Night Stands many people Touring Northern Ireland will unfortunately feel “I wish I was in Carrickfergus” rather than in Northern Ireland’s Gold Coast.